The rich tonal colors of the 250 SEs were apparent on every good recording I played. Ray Brown’s bass, in The Red Hot Ray Brown Trio, was full and vibrant without being plummy. Gene Harris’ terrific piano sparkled and thundered, with appropriate weight and impact in the lower registers. Massed violins, piano, and woodwinds in Julius Katchen’s performance of the Brahms Piano Concerto No. 1 [Decca] were simply gorgeous, the 250 SEs finding new color in this great old recording. Further, all of the instruments were suffused with their own air and space to a level I did not previously know existed on these recordings. I have already alluded to how well the 250 SEs controlled the Maggie 20.7s. Like a black hole with a grille cloth, these relatively inefficient speakers can inhale an aspiring power amplifier with nary a trace left behind. But, with the right amplifiers, these speakers sing like few others. With the 250 SEs they sing with a full chorus. Each watt has been to the gym and the nominal 250-watts rating feels conservative, a pleasant surprise for someone who previously was convinced that only much more powerful amplifiers (tube or solid-state) could do justice to the 20.7s. In light of the above comments, it should come as no surprise that the dynamic range of the Ref 250 SEs is outstanding. Even at quiet listening levels, crescendos or hard-hit timpani or bass drums can still be startling in impact. At the suggestion of Audio Research, I used two accessories that improved the performance of the amplifiers, with no downsides I could discern. These amplifiers use 20-amp power cables, making it impossible to use my usual assortment of 15-amp cords. The 250 SEs sounded fine with their stock cables but took steps toward greater transparency and increased instrumental texture when I swapped in power cords made by Sain Line Systems of Minneapolis, MN. These hand-made and cryogenically treated cables, at $1895 for six-foot standard length, are not inexpensive but nevertheless proved to be a very worthwhile upgrade over the stock power cords. Another improvement in sound was gained by using Stillpoints Ultra 6 feet beneath the amps (and, ultimately, the preamps as well). The most notable gains were a slight but perceptible increase in soundstage width and depth, tighter bass, and even more precise placement of instruments and vocalists in space. At this already-stellar level of performance, any improvement is welcome. One other aspect of the sound of the 250 SEs deserves special mention. Unlike some of the earlier ARC amplifiers I have heard at shows in past years, these babies have slam. Drum whacks will hit you in the chest and low bass is very extended. The 250 SEs display tighter grip of the 20.7 bass panels than any other tube amplifier in my experience. Electronic bass, such as in “Rose Rouge” from St. Germain’s Tourist album [Parlophone], plumbed new depths of the 20.7s’ capabilities. In fact, if your eyes were closed you would think the Maggies were being driven by solid-state amps in the bass. 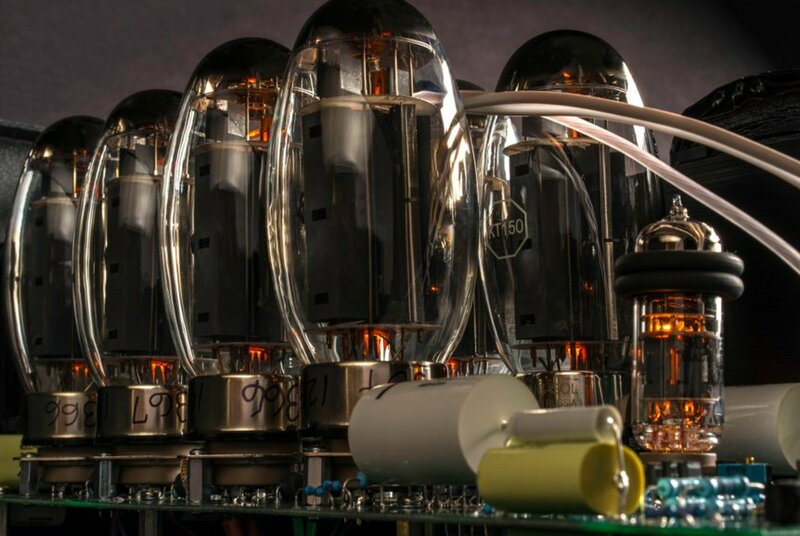 But they depart somewhat from traditional solid-state bass by offering a bloom and air that’s almost always the sole province of tubes. The unique virtues of the Reference 250 SE amplifiers held up through various changes of linestages and phonostages. Near the end of my review process I had the luxury of pairing the 250 SEs with Audio Research’s Ref 10 Phono and Ref 10 linestages. It immediately became obvious that all three pieces of equipment were designed with the same sensibilities, leading to a synergy that added substantial enjoyment to the listening experience. The Ref 250 SE’s strengths were magnified (backgrounds were blacker, frequency response even smoother, and details clearer) and the entire amplification chain did more of a disappearing act, drawing my focus more to the music and less to the equipment. Dimensions: 19" x 8.75" x 19.5"